The Little Wedgie is the smallest wedgie of them all! A mini version of The Big Wedgie, it’s a 3 lane racer perfect for young ones! The Big Chucka… Calling all thrill seekers, imagine an unimaginable wedgie! We’re talking a vertical free fall followed by an exhilarating 80 degree plunge, to then catapult you through the air onto a giant inflatable pillow! 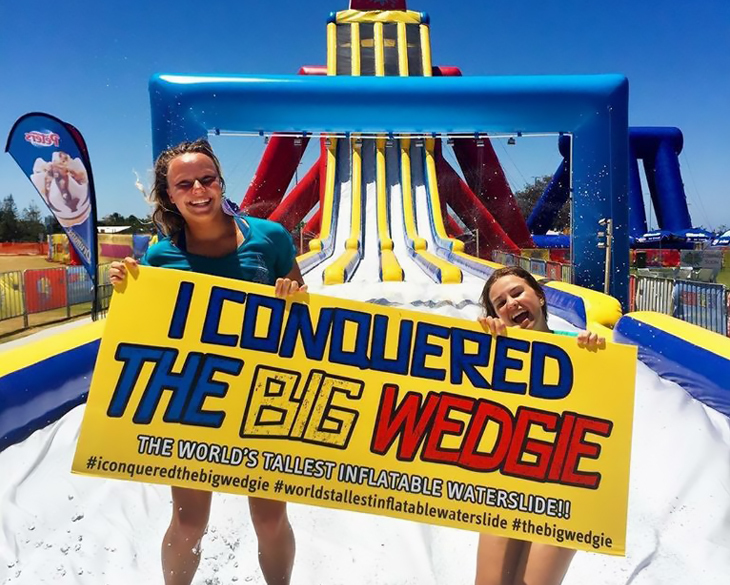 The Big Wedgie events are always made up of many awesome slides perfect for all ages and all thrill levels!